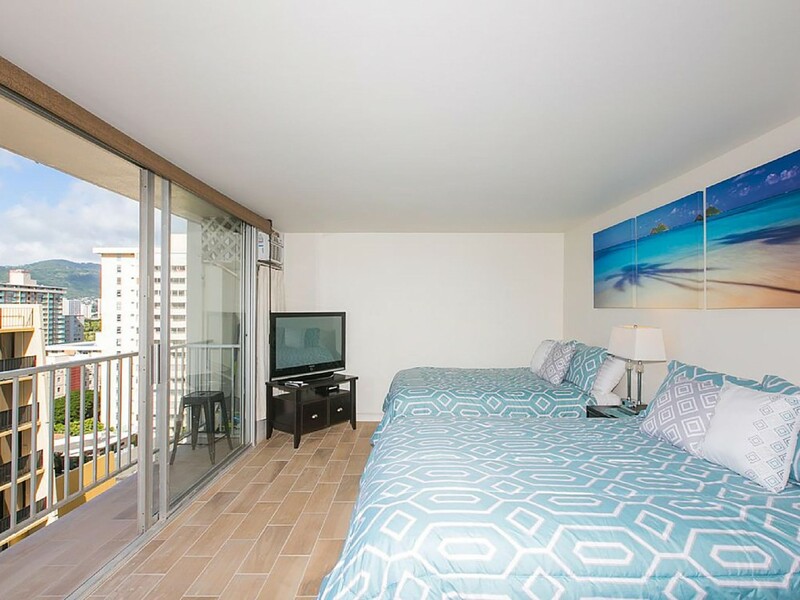 This beautiful large studio is located in the popular Pacific Monarch resort which is only 500 yards to famous Waikiki Beach. It is just behind the Hyatt Regency Resort in Waikiki. Fee WIFI Parking, if available, at an additional cost $15 a day. This condo is a a perfect place for your family to enjoy all the comforts of home and be able to walk to all the beaches in Waikiki and all Waikiki attractions.